Shop our on-trend assortment of stylish purses bursting with style and pick the perfect one to keep her pocket money close by! 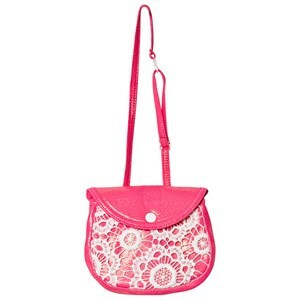 Whether you’re looking for a slightly more luxe faux leather design or a pretty floral pattern, we have all of the bold colors, prints and shapes your daughter wants from a girls’ purse or wallet. Find your essentials in our variety of stylish and fun wallets and purses for girls. These mini must-haves are the perfect accessories to fit all your little girls’ necessities. In search of girls’ wallets with a fun print or design? You’ll find a variety of styles with some signature prints and detailing. From sequined designs to lovely animal-shaped purses and stripes or polka dots, you’ll fall in love with the design options on our offer, and your picky child or teenager will do too! So whether you want to keep it basic with the simplicity of a wristlet or add it to the inside of her favorite tote or shoulder bag, you’ll find that the sky’s the limit with our unique styles of wallets and purses for girls and teenagers.